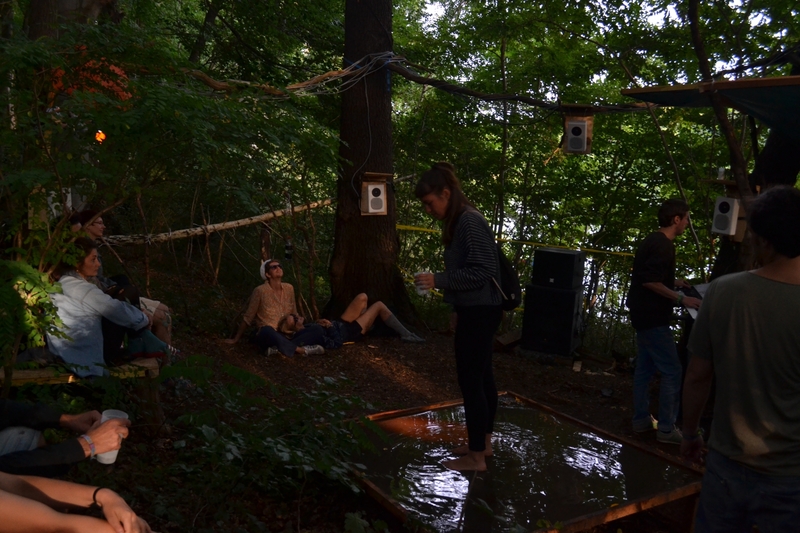 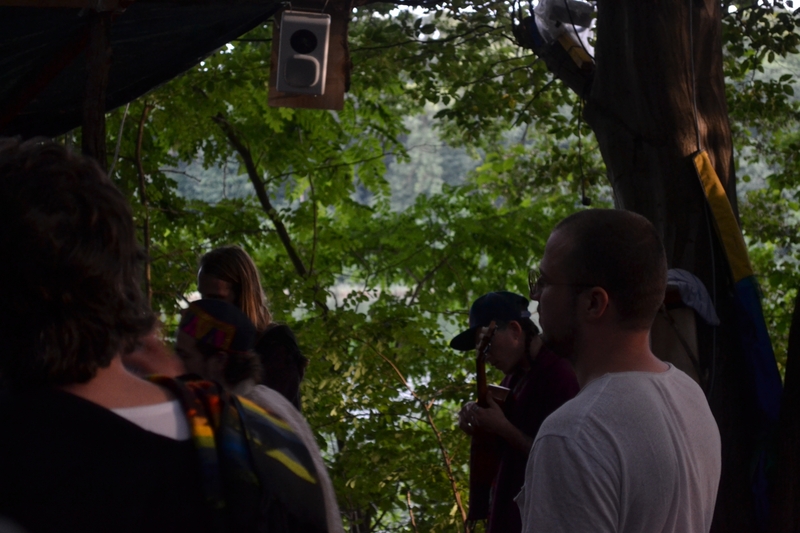 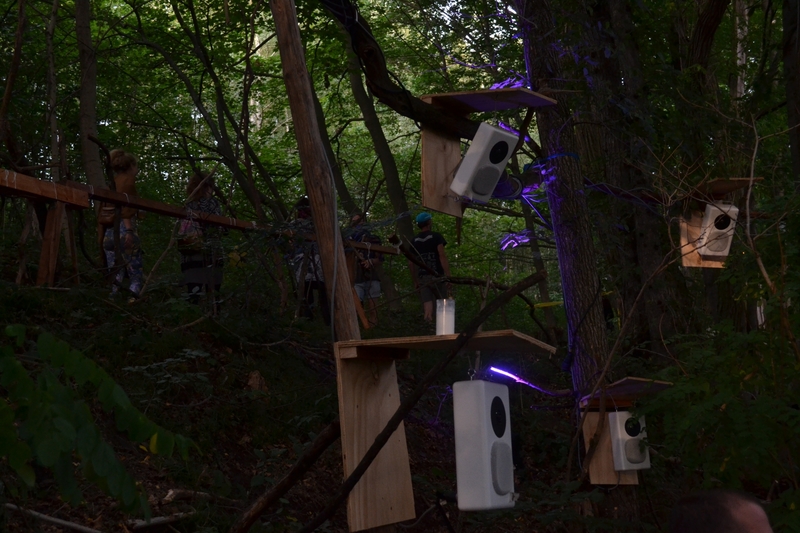 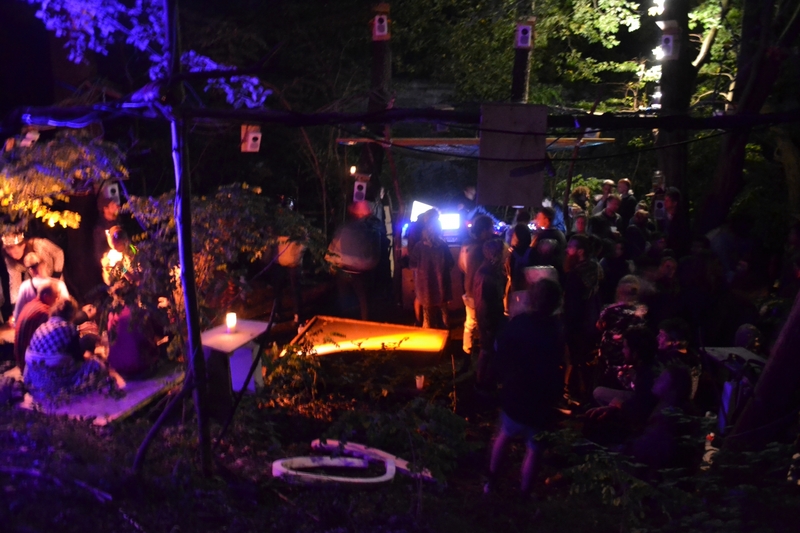 We set up a 3D Audio installation in the forest of the Garbicz festival (Poland) in August 2017 with some specials. 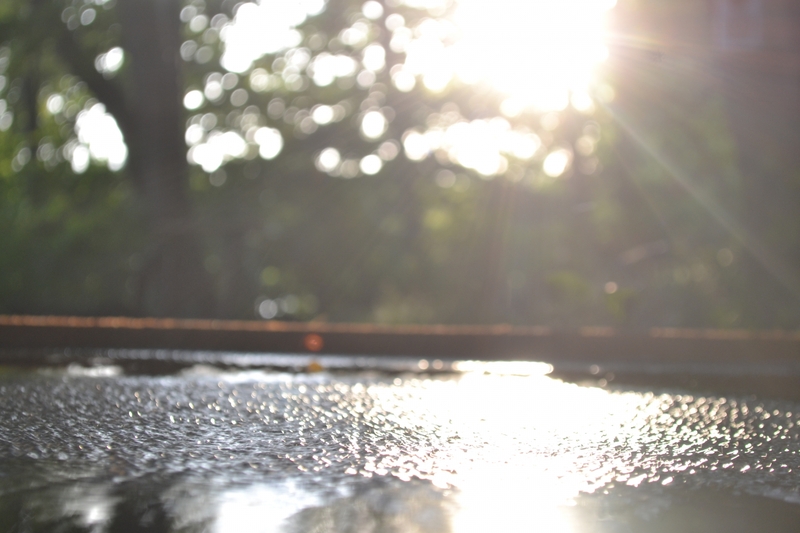 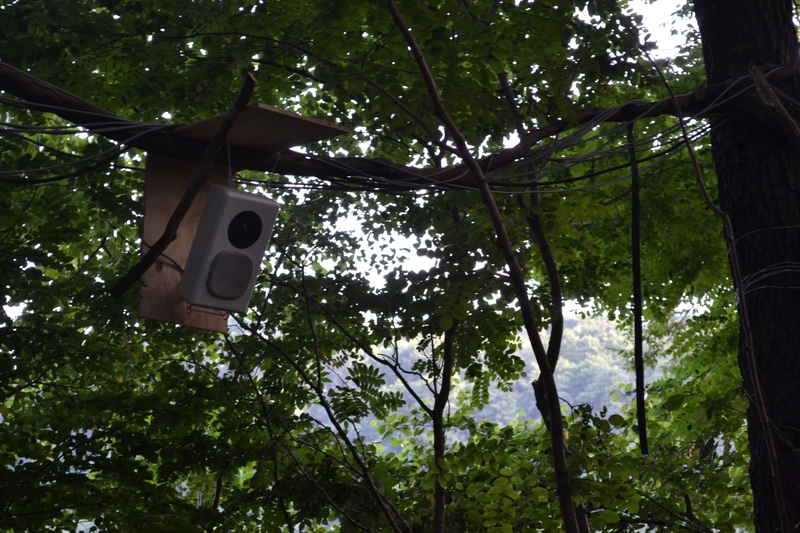 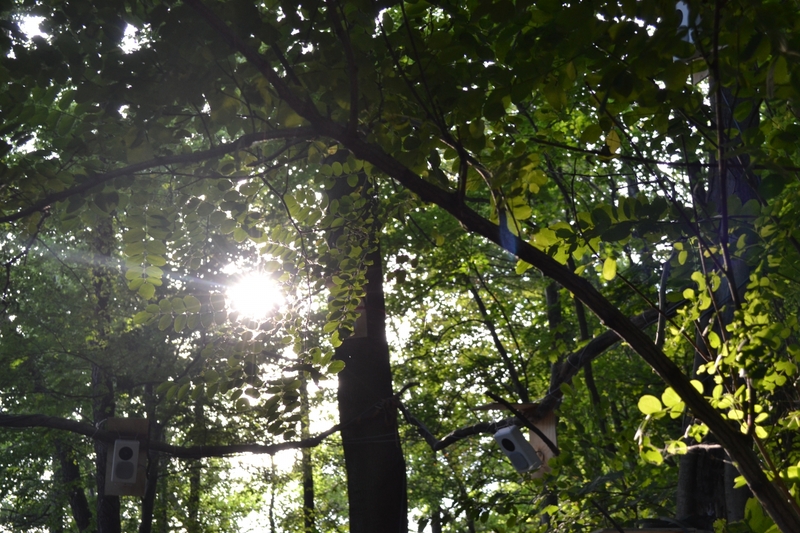 We programmed an interactive swing to move a sound of breathing through the forest by swinging inside and outside the 3D Audio setup. 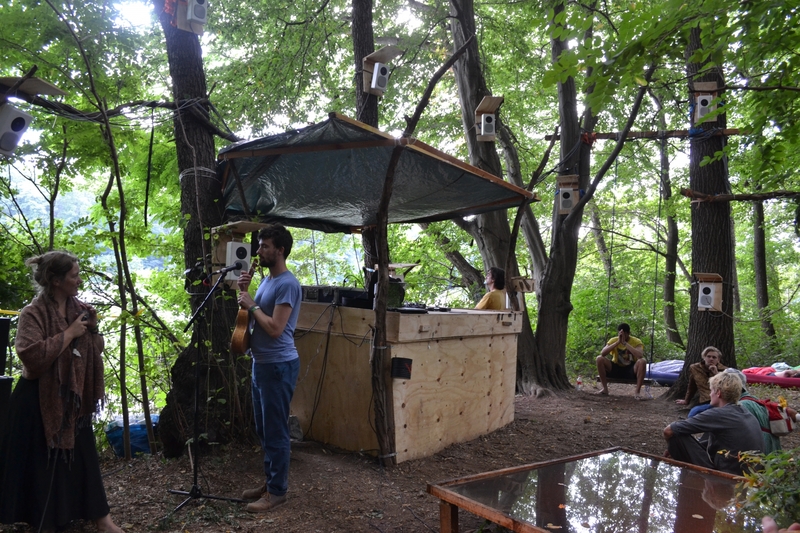 Michael Terbuyken set up bassvibrating seats at the 3D audio floor and a wood construction with audioreactive vibrating water, building patterns through the bass vibrations.